Peru is located in the central-western part of South America and is divided into three large regions: the coast, the mountains, and the jungle. It is a multicultural, multilingual, and multiethnic country which was the home to many ancient cultures. Peru has made huge strides towards improved healthcare over the past two decades, but problems still persist with inequalities in rural areas, a lack of trained healthcare providers and sufficient funding to meet the needs of the population. In 2007, we began our work in Peru and have expanded over the years. We now work in two distinct areas: the highlands of Huancayo and the metropolitan jungle in La Merced. Located in Peru’s central highlands, Huancayo is a culturally vibrant city surrounded by small artisan towns. Its hiking trails and nightlife make it a popular destination for visitors. It is rich in Andean culture and has a more heavily native population than the more pan-Latino coast. Despite the rich culture and tourism opportunities, a large portion of the population still lives in poverty. The most common health issues in Huancayo are a direct result of the lack of access to clean water, sanitary living conditions and proper nutrition. La Merced is a culturally diverse city surrounded by mountains. The city is known as the gateway to the indigenous populations of the Ashaninka, Yanesha, and Amuesha communities, which are rich in native culture. La Merced is a mix of Peruvian culture with historical roots common to jungle areas. Many of the most common health issues in the area are related to the Amazonian location of La Merced and traditional beliefs that are still held today in many of the outlying communities. At an elevation of over 10,000 feet, Huancayo is situated in the Mantaro Valley and is the capital of the Junín Region. La Merced is the nearest jungle region to Lima, the nation's capital. It is a city in the high Amazonian region and boasts many natural gems such as waterfalls, a large river and the rainforest. Peru’s medical facilities are critically understaffed and underfunded, and many medical establishments struggle to provide even basic medical care to the people they serve. The hospitals are overburdened with patients, many of whom have illnesses preventable by basic hygiene and healthy living practices. We sat down with hospital directors and partner organizations. We learned about the healthcare system and the struggles. We built a partnership-based model to provide support with community outreach programs and preventative health education. We make responsible contributions to partner facilities and local organizations. Often times, there is a large cultural and language barrier between many of the patients and medical staff. Many of the residents of the central highlands of Peru speak only Quechua or limited Spanish. Illiteracy rates are high and many patients prefer natural medicine to modern methods of treatment. This is especially a problem for treating the older generation and geriatric medical care. All of these factors add significant challenges to providing effective and timely treatment wherein minor health problems can become major health emergencies. FIMRC’s Project Peru in Huancayo has formed partnerships with hospitals, clinics, schools, orphanages and other local organizations that are effected by a lack of resources and trained personnel to provide much needed public health education and training. We also execute public health campaigns in underserved areas targeting the most significant health issues in the community. In addition, we have the opportunity to support orphanages and smaller government clinics on health education initiatives and addressing issues that are otherwise ignored, such as dental health. One of our goals in Peru is to provide a unique perspective into the medical system, as well as provide specific education opportunities to different populations and institutions. As a result, Huancayo is special in that volunteers will gain exposure to public hospitals and clinics, offering a glimpse into systems of medicine vastly different from those in the US. Since 2001, Peru has seen a GDP growth higher than the average rate in Latin America. Given the size of the country and the vastly different terrain, the economic growth has not translated into universal improvements for Peruvians. Accessing services such as health care can still be a challenge, and socioeconomic conditions have not improved in many rural and marginal urban areas. In La Merced, we work to address the disparity in health care that Peru is currently facing. In the city of La Merced, have partnered with the local hospital to provide opportunities for volunteers and for community members alike, both through observational rounds in the hospital and rural health campaigns with hospital staff in outlying communities. In addition, we currently work with several outlying communities, several of which are native communities, providing health education programs to the population. 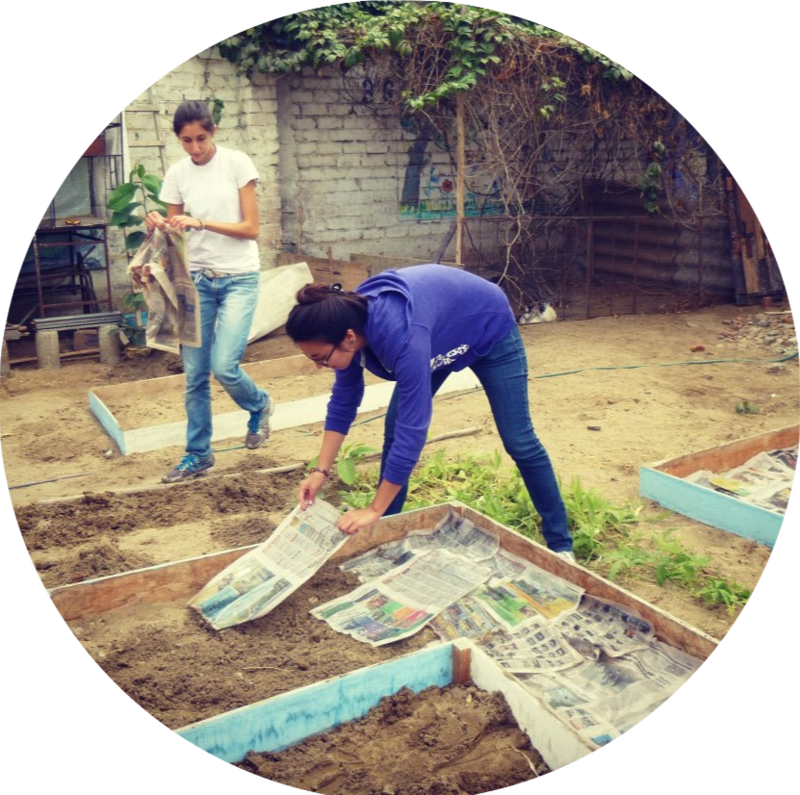 Project Peru - La Merced has started to lay the groundwork for long-term, sustainable change. The urban environment in Huancayo requires that we are much more in-tune with the families that we serve. The indigenous population in La Merced requires a level of respect and understanding of native practices. We participate in the activities of our partner organizations, develop and implement health prevention programs based on urgent community needs as well as work with families and healthcare providers in both locations. Project Peru thrives on the efforts of volunteers, all of whom contribute to the current needs and initiatives on-site. Whether you're learning about medicine in the local hospital, giving health education to mothers in a rural community, or observing a surgery, your experience allows you to better understand the Peruvian healthcare system as well as contribute to the improvement of health in the community and surrounding areas. All volunteers have the opportunity to immerse themselves in both the clinical and health education aspects of operations on-site, and activities can range from participating in a local health fair, observing in a hospital or rural clinic, to leading health education sessions. Over the course of your trip you'll receive an unfiltered experience in health care field work abroad, and learn about the tremendous impact that even one person can have. At our end, so as to maximize your contribution, we will tailor your experience based on current needs, your interests, training, and amount of time that you spend with us on-site in Huancayo, La Merced or both project sites.